Loads of lovely Craghoppers gear going for next to nothing! 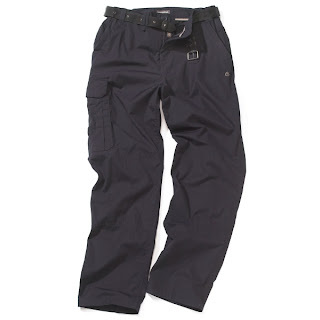 In men's we have the following items - daft prices to be found next to pictures. ff legs with an anti mosquito treatment that lasts for hundreds of washes. Down from €60 to only €40! 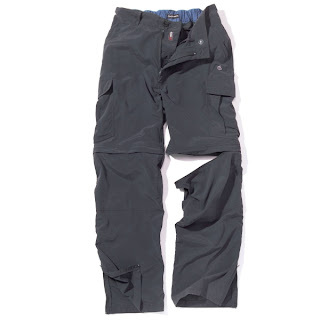 We also have the nosi lite trouser down from €55 to €35 - no zip off feature but we know many of you prefer that so these are for you. 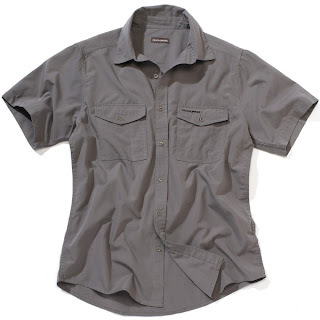 vely travel or casual shirt - quick drying and UV protective. See pic right - was €35 now €20! 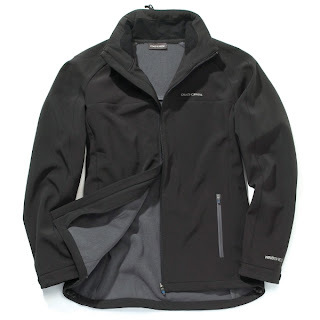 Below is the "Turnpike" softshell - firstly, softshell is the business, secondly, this is a smart piece with a lovely cut and thirdly, it was €80 and is now only €50 ! 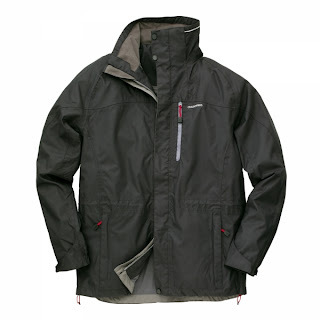 Now for the highlight of the show - The "Kiwi" waterproof jacket - a proper waterproof jacket with a nice cut, all the necessary pockets, double storm flaps etc and all for....Was €110, now €60!! Right - Kiwi jacket in black (also available in "cedar" green). And last but by no means least are the "Kiwi" trousers - available in navy or "bark" (as in the stuff on a tree) - were €45, now €25. 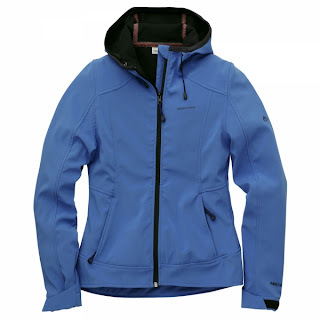 Right, now onto Womens - First up, the "swift" soft shell - now my thoughts on softshell need no repeating but i will anyway - it's the business - water repellent, windproof, fast drying, super breathable blah blah blah blah so good etc etc - seriously though, if you don't have a soft shell, sort it out. Right -the lovely "Swift" soft shell. And here's the really good bit - it was €90 and is now €50! 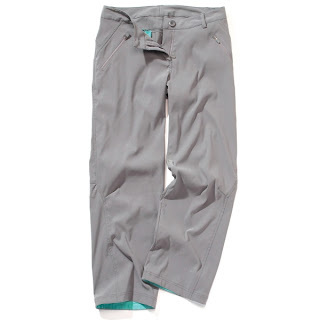 Beneath the swift is the Kiwi Pro-Stetch trouser - light weight, stretchy, supremely comfortable trousers that dry ridiculously fast, have UV protection and a "wash and wear" treatment so they look good without needing to be ironed. were €65, now €30 - yes, that's less than half price. 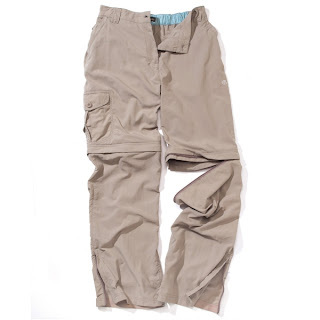 And to finish, on your right is the nosi zip off trouser in "mushroom" - anti mosquito treatment, fast drying, choice of leg lengths and look great as well. €60 down to €40!! Thats all for now folks - this stuff is already going fast so come see us and get some. Galtymore and a Happy new year! Nothing beats a good auld hillwalk in the early morning to shake off the cobwebs! 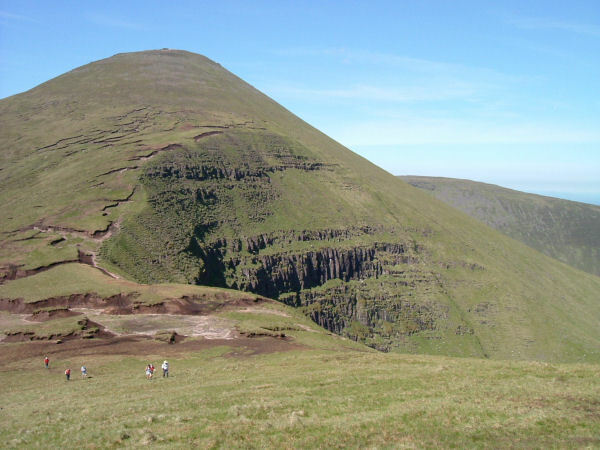 Before I started work today i headed to the Galtees in Tipperary. 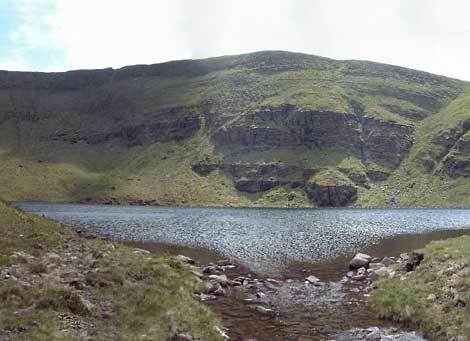 The day started with a walk up the trail to the scenic Lough Curra. We continued over Galtymore with fantastic views all around, then onto Galtybeg and down to the car. If you would like any information on the walk then pop into the shop and ask for Brian! We at Mahers Outdoor would like to wish all or customers a happy new year and we look forward to seeing you soon!